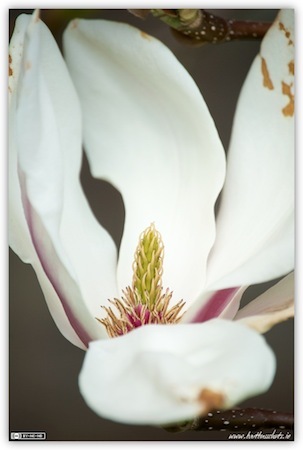 I’ve always loved the great photographer Imogen Cunningham’s take on Magnolia flowers, particularly this shot. So, earlier this year, when I noticed that the Magnolia trees in St. Patrick’s College were in bloom, I set out to have a go myself. Obviously I’m no Imogen Cunningham, but I’m quite pleased with this shot all the same. The trees were exceptionally beautiful in full bloom. It’s unfortunate that the blossoms were so fragile and prone to falling apart. How did you manage to get one that was so clean and firm? Magnolias are indeed very delicate, but there are also a LOT of them, so I just kept looking till I found one with exactly one petal down but the other three up.